Despite all the advancements and changes in the security industry, there are certain “givens” of critical incident management and response that the majority of safety and security teams take for granted. In our inaugural blog, I thought it would make sense to highlight the limitations that many have come to accept as status quo. Before I delve into these, let me clarify that if you share one or more of these preconceived notions, you’re not alone. The truth is that up until recently, many of these limitations were reality and accepted as “unsolvable”. 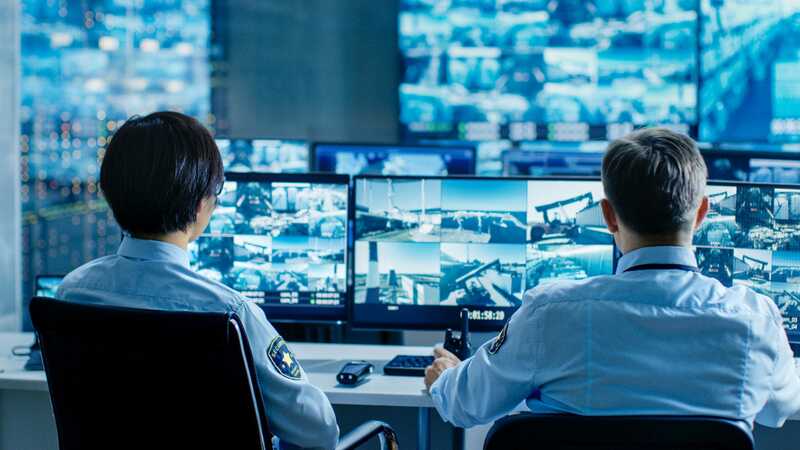 When you’re entrusted with protecting the lives of hundreds or thousands at your organization, you need to take advantage of the latest technology to arm your team with every possible advantage. That’s why we’re excited to share how our flagship product, SafeZone® can actually solve these unsolvable problems. There isn’t an effective way to quickly communicate with different members of your team, based on their location and role. Example: There is a fire at your downtown location, and in addition to sending a mass notification alert to the organization, you need to instruct all first responders within a 10-mile radius of the threat to immediately respond. You also need to send a custom message to all building wardens downtown to verify evacuation protocols are followed and specialized instructions to the members of your team already in the building where the fire was reported. Solution: SafeZone takes mass notifications to the next level by enabling you to communicate with various members of your team based on their actual location at that moment. In addition, you can create various groups based on role and/or availability and send specific instructions to select groups based on their function and location. Example: Your safety and security team receives an alert of an assailant with a large knife in the cafeteria of your organization’s main campus. An unarmed member of your team (call them ‘Guard 1’), is located in the cafeteria but they’re unaware two of their armed colleagues are next door and en-route to help respond to the incident. Because they don’t know who’s in close proximity, Guard 1 blindly reacts to the situation. As a result, they and various members of your organization are critically injured. Solution: SafeZone’s OmniGuard enables each first responder on your safety and security team to see each other’s location in real time. Since ‘Guard 1’ knows they have backup quickly approaching, they briefly pause to engage the suspect in force and neutralize the threat, protecting the safety of your team and your organization. Now when your team responds to a critical incident, they can make well-informed decisions to help protect the wellbeing and safety everyone in your organization. When staff/students travel, there’s no easy way to know when they’ve safely arrived or returned, when they’ve checked into their hotel, and how close they are to a threat in the city where they’re traveling. Example: Your organization’s executive leadership team is in San Francisco for a strategic planning meeting when an earthquake strikes nearby. Your team attempts to call each member of the team but it’s time-consuming and some of the numbers are not current. Solution: SafeZone App allows your safety and security team to see the real-time location of your team and quickly assess that the executives are outside the primary impact zone of the earthquake. Your team checks in with each executive and confirms they’re OK using two-way messaging. Your team notifies departments and immediate family that everyone is safe. When an alarm is received from an individual in a multi-story building, it’s not possible to immediately know the floor and detailed location of the individual in need of assistance. Example: An employee is having severe chest pains in Building 1 and calls for help but can’t speak due to their medical condition. Because your security team isn’t sure where the victim is in the 12-story building, it takes 10 minutes to determine the floor and location of the victim, who subsequently goes into full cardiac arrest for several minutes before help arrives. Solution: With SafeZone’s Indoor Positioning Solution, the alert immediately conveys the victim is on the 5th floor, west wing, outside room 501 in Building 1. With SafeZone’s OmniGuard, a member of your team who is already in Building 1 immediately responds and arrives within 2 minutes. They use a defibrillator to restore the victim’s heartbeat before the EMTs arrive. It’s difficult to create, customize and manage multiple response protocols by location. Example: Your organization’s main location is spread out across multiple campuses in different cities and countries. Some locations have in-house security, others use third-party security while others rely on local law enforcement. Setting unique protocols for each location and each incident type (fire, inclement weather, active shooter) seems impossible. Solution: SafeZone enables you to set different response protocols at different locations, based on the resources you have available to respond to that issue. So, whether it’s a distant campus in Dubai, a regional location in Paris, or your central campus, you can use our user-friendly software to manage the wellbeing and safety of all those in your organization and optimally respond based upon the resources available. There’s no way to record my entire team’s response to a widespread incident across a large geographic area and play it back and analyze our response moment by moment. Example: Your team conducts an exercise to simulate a large-scale, multifaceted threat. Upon completion of the event, you piece together various debriefing sessions and CCTV footage in an effort to assess performance. It’s a time-consuming process, and it lacks objectivity as much of the input hinges on those involved with the drill. Solution: Using SafeZone’s command and control functionality, your Emergency Operations Center records the exercise from start to finish. You share the footage to provide a moment by moment snapshot of each individual’s response to the incident. Your team uses the information to analyze their response and prepare a comprehensive debrief, identify what went right, and how to optimize performance next time. You’re also able to provide the recording to executives to demonstrate your team’s preparation, as well as to regulatory bodies for compliance i.e. Cleary Act. I hope this helps you realize that many of the “givens” of critical incident management and response are no longer limitations your safety and security teams need to live with. If you’re interested in learning more, I encourage you to subscribe to our blog, follow us on social media and let us know if you’d like to chat.